According to the latest research from CoreLogic, homeowners across the United States gained plenty of home equity last year. That’s good news for homeowners, who can tap their equity for everything from paying down credit card bills to covering at least part of their children’s college education. Building equity, though, brings with it two big questions: How should you access that equity and what should you do with it? Home equity is the difference between what you owe on your mortgage and what your home is worth today. If your home is worth $250,000 and you owe $160,000 on your mortgage, you’ve built $90,000 worth of equity in your home. You build equity by making your mortgage payments each month. You can also see your equity rise if your home increases in value after you buy it. According to the newest Home Equity Report from CoreLogic, the average homeowner in the United States saw an equity gain of 8.1 percent from the fourth quarter of 2017 through the same quarter of last year. CoreLogic says that this comes out to an average gain in equity of about $9,700. You can access your equity in one of two main ways: through a home equity loan or a home equity line of credit, better known as a HELOC. A home equity loan acts much like your primary mortgage loan. Say you have $80,000 of equity. A lender might approve you for a home equity loan of $60,000. You’ll then receive a check for that full $60,000, which you’ll pay back in monthly payments. You will, of course, pay interest on those payments. A HELOC is more like a credit card, with your borrowing limit based on your equity. Say you have that same $80,000 of equity. Again, a lender might approve you for a line of credit of $60,000. But you only pay back what you borrow. Say you borrow $20,000 for a master bedroom addition. You only have to pay back the $20,000 you borrowed, not the full amount of your line of credit. HELOCs usually come with a draw period and a repayment period. The draw period might last five to 10 years. During this time, you only have to pay back the interest on what you borrowed, though you could pay more. During the repayment period, which lasts the remaining balance of your loan’s term, you’ll have to pay back both interest and principal. This means your monthly payments will rise. It's important for homeowners to understand how their monthly payment might change with a HELOC once the draw period ends. A payment that comfortably fits in your budget during that interest-only draw period might strain your finances during the repayment portion when principal payments are added. Ginna Currie, an appraiser with Christopher Tracy Appraisals in New Rochelle, New York, said that this higher monthly payment can cause problems for homeowners who haven't budgeted beyond the interest-only phase of their HELOC. "When the full repayment period begins, homeowners are often shocked at the principal and interest payment and may have to refinance the loan," she said. What’s better? HELOC or home equity loan? When tapping your equity, which is the better choice, a HELOC or a home equity loan? Not surprisingly, there is no one answer. A home equity loan is a good choice if you need one big chunk of money for a specific project. If you want to spend $30,000 to renovate your kitchen, a home equity loan might be the good choice. Home equity loans usually come with fixed mortgage interest rates. This means you always know what your monthly payment will be, which makes financial planning easier. HELOCs, though, are a good choice for homeowners who want a ready source of cash to spend on a variety of projects or needs as they come up. Maybe this year you want to renovate your first-floor bathroom but next year you’d like to spruce up your master bedroom. By taking out a HELOC, you have the flexibility to borrow just what you need to tackle several projects. "A home equity loan is best if you can quantify, right now, the total cost of the home improvements you plan. 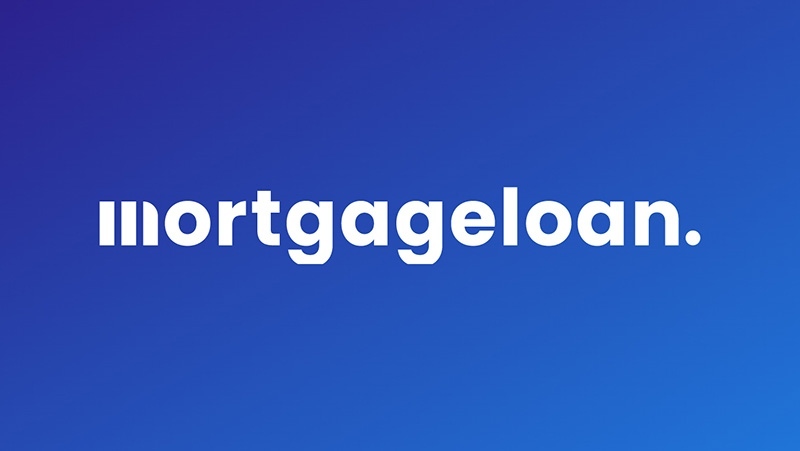 These costs must all be predictable and affordable to use this kind of loan," said Michael Moskowitz, president of New York City-based direct mortgage lender Equity Now. "If these costs are not known, a home equity line of credit may be better for you. A home equity line of credit is best if you cannot be sure at this stage how much you will be spending on home improvements and the time these improvements will take." HELOCs often come with variable interest rates that can change during the life of the product. This adds a bit of uncertainty to monthly payments. Karen Kostiw, a real estate agent with Warburg Realty in New York City, says that HELOCs do offer plenty of flexibility. But those varying monthly payments can cause problems, she said. What should you do with your home equity? Once you’ve taken out a home equity loan or HELOC, what should you spend your money on? Again, there’s no one answer here, but you do have flexibility. You can use your equity to pay for anything you want. Some choices, though, might make more financial sense. Using your equity to fund home improvements is usually a good choice, especially if those improvements boost your enjoyment of the home or increase its value. Another plus for this use? You might still be able to deduct the interest on home equity loans or HELOCs when you use them for home improvements. The 2017 Tax Cut and Jobs Act says that homeowners can deduct mortgage interest on up to $750,000 worth of loans for married couples filing jointly and $375,000 worth of loans for taxpayers filing separately. This includes home equity loans and HELOCs. But you can only deduct the interest you pay if use your equity to substantially improve your home. That word is important; The IRS says that a "substantial" improvement is one that adds value to a home, lengthens its life or gives it a new use. Using home equity to add a bathroom, renovate a kitchen or add a third bedroom would probably fall into this category. Using home equity to hire a painter to paint your home, though, might not. It's best to check with your tax preparer first. You might use your equity to pay off credit card debt with high interest rates. This can make sense, too. Home equity loans and HELOCs usually come with far lower interest rates than do credit cards. If you can swap out high-interest-rate credit card debt with lower-rate home equity debt, you can save a significant amount of money. Remember, though, that you can’t deduct the interest you pay on your home equity loans if you use them to pay down credit card debt. You could also lose your home if you don’t pay back your HELOC or home equity loan. This can’t happen if you fail to pay back your credit card provider. The situation is similar if you use a home equity loan to pay for your children’s college tuition. You can no longer deduct the interest on these loans, so you will lose those savings. But private student loans can come with high interest rates, too. If you can qualify for a home equity loan or line of credit with a lower rate, that might be a better option. Again, though, be careful: If you can’t make your monthly loan payments, you could lose your home. Make sure, then, that your HELOC or home equity loan payment fits comfortably in your budget.